The Immigration and Customs Enforcement (ICE) agency are casting blame at the Middlesex County Jail in New Jersey for releasing an illegal alien who is now charged with three homicides in Missouri. According to ICE, 23-year-old Luis Rodrigo Perez is an illegal alien who was in the custody of the Middlesex County Jail in New Jersey on previous misdemeanors. The jail, knowing that Luis Rodrigo Perez is a fugitive illegal alien, is obligated to contact ICE to file immigration court proceedings. That didn't happen, and ICE in-turn issued an Administrative Detainer, which then granted custody from the Middlesex County Jail to ICE if Luis Rodrigo Perez posted bail or was released by a judge. As per the endless battle between Republican and Democratic Party politicians, <i>many Police Departments, County Jail, and Sheriff's Offices across the nation ignore the pleas of ICE</i>. As a result, ICE has to waste valuable resources in tracking down Illegals. Because of this, “immigrant rights” advocates attack ICE. <i>They don't seem to understand the way the Constitutional Rights of Americans works in America,</i> for <b>American citizens only</i>. This is a similar scenario, with ICE stating that an ICE Enforcement and Removal Operations (ERO) detainer was declined, according to a press release from ICE. 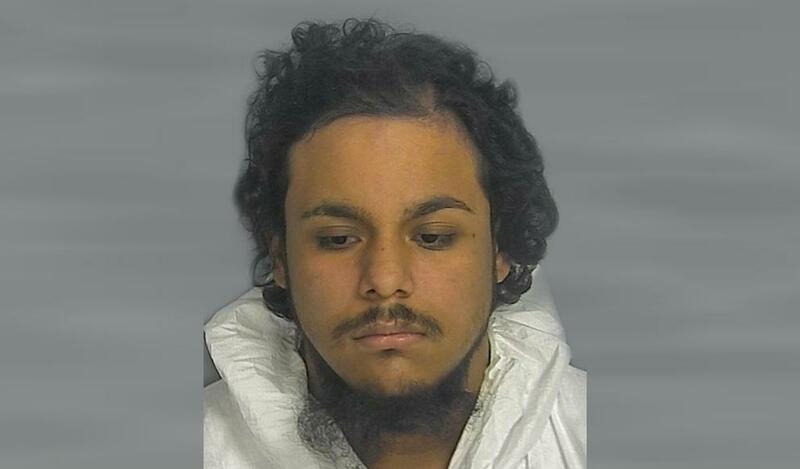 Luis Rodrigo Perez was then released back into society without bond, at the behest of the Middlesex County Jail in New Jersey. Upon release from the jail in February of 2018, Perez eventually made his way to Missouri. He has now been charged in a triple-murder that recently occurred in Springfield, Missouri. To make matters worse, all the Middlesex County Jail had to do was keep the savage Luis Rodrigo Perez in custody until ICE arrived. If they'd followed federal immigration law and procedure, three people would still be alive. Now, Luis Rodrigo Perez is in the custody of ICE, charged with four counts of murder. Luis Rodrigo Perez was amenable to arrest and removal under the U.S. Immigration and Nationality Act, as reported by<a href="https://www.mycentraljersey.com/story/news/crime/2018/11/09/ice-middlesex-county-jail-missouri-murders/1945439002/"> My Central Jersey</a>. How many more times must this happen? Those responsible for the release, should be charged in aiding & abetting these murders. So who did he kill? Easy fix to this problem. Any state that ALLOWS, either through inaction or rule of law, an illegal alien to escape a detainer writ shall lose ALL Federal funding until a time that they prove any illegal alien in custody be turn over to ICE for processing. These new jersey officials knew exactly what they were doing and what would happen if this monster was set free. They hoped he would kill Americans. The liberals are not true Americans but instead pawns of satan who will do his handiwork of murdering innocent Americans. We will someday realize when it is too late that the liberals, mexicans,,blacks and muslims are foreign invaders worse then the nazi's who's ultimate goal is to destroy the United State and its population. what do you expect from a county named, "Middlesex"? I’m sure this animals release required someone’s signature. So find the idiot that signed that document and throw the whole bookshelf at them. Once they get scared cause they figure they might end locked up with one of these types they will bring the next idiot into the fold. Just like they do to dopers, squeeze the little guy till he spills the beans. If you read the embedded ICE press release you'd know there is no information about the victims. Meanwhile, Americans charged with misdemeanors are still sitting in jail waiting on their court dates as they could not afford to make bail!